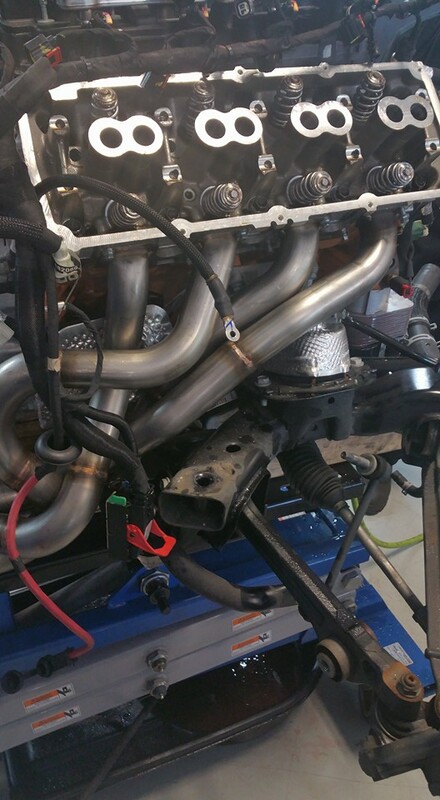 Want a custom exhaust, intake, or intercooler piping built or installed? Maybe a you need some brackets made to clean up an engine bay. While we are not a body shop, we do some custom fabrication. Building an exhaust, intake, or intercooler piping can be a difficult task without the proper equipment. Many people don’t understand all the factors involved in doing a job like this. Airflow is the number one thing people focus on here, and for good reason. But there is more to factor in like clearance around hot parts, flexible joints to allow movement when the engine twists in the mounts, vibration control, and ease of removal and installation. Brackets can make a cramped and messy engine bay look clean and professional. They can also be a way to control vibration through electrical parts or through the body of the vehicle. This not only makes your vehicle look more appealing, but can be a way to improve the longevity of your investment. Our team has the experience to account for the things most people never even think of when doing this type of work. Let us build you a practical setup with a focus on performance.